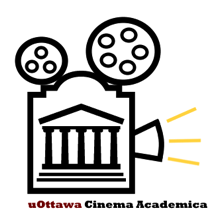 Saturday, February 3, 2018, 7:00 p.m.
Free event hosted by Cinema Academica at Ottawa U. Imagine living a satisfying, healthy life while causing practically no damage to the Earth. Better still, one can live well and improve the long-term well-being of planet and people. Lanark Eco-Village aims to show how. The Feb. 3rd discussion will be an introduction and discussion about Eco-Village living and how the perspective gained on that micro-scale might be applied elsewhere. Earning a living means making money and buying what one needs. This process tends to separate one from the sources of one’s living. When one makes a living, one works with soil and trees, tools, knowledge and good-will to produce goods or services for personal use or for trade. In the process, one creates bonding relationships with the Earth and with other people. This year Lanark Eco-Village has a number of openings where individuals can enjoy the natural world and learn about soil, growing, harvesting, cooking and preserving food; turning trees into boards, boards into buildings and buildings into a sauna, greenhouse, bath house, food storage and more. Optional will be sessions on cultural evolution and the shifting of our over-grown, troubled society into one that is mature, healthy, stable and secure. Facing the large problems of our times, the single most potent thing that you can do to help is to enjoy yourself. More friends, creativity, learning, sport, service and appreciation and less stuff ! We could enjoying living so much that we wouldn’t have time to consume at a dangerous level. Hope you can join us in discussing this on Feb. 3rd. Saturday, January 27, 2018, 7:00 p.m.
Ukraine’s 2014 Maidan Massacre helped oust President Yanukovych with Russia painted as the perpetrator. 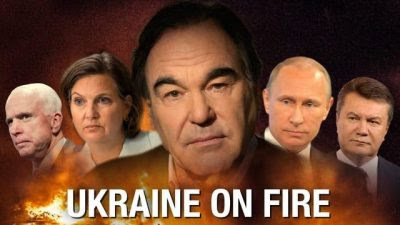 Oliver Stone interviews Russian President Vladimir Putin, Yanukovych and others, exposing the role the U.S. played in destabilizing the region.